A remarkable pamphlet by Maurice Brinton exposing the struggle that took place over the running of workplaces between workers and the new state in the Russian Revolution. 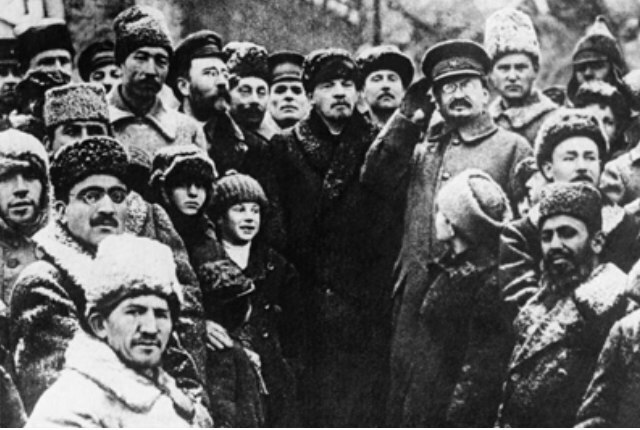 In doing so not only does it demolish the romantic Leninist 'history' of the relationship between the working class and their party during these years (1917 - 21) but it also provides a backbone to understanding why the Russian revolution failed in the way it did. From this understanding flows alternative possibilities of revolutionary organisation and some 26 years after the original was written this is perhaps its greatest contribution today. For this reason alone this text deserves the greatest possible circulation today and we encourage you to link to it, download the text or otherwise circulate it. The Russian Revolution in is entirety from 1905 to 1917 continues to be one of the great periods of history for the struggle for freedom by the working class against the capitalist class. Now that Leninism is finally dying it is up to anarchists and other libertarian communists to rescue the positive and negative lessons of that great revolution from the distortions of the left and the right. The book is a vital contribution to writing the real history of the revolution. There is a new, over-priced but don't tell the publishers i said that, print edition. Well, 20 bucks is only the list price... hopefully amazon will discount it at some point. The publishers website offers free shipping too, so that helps a little. I got the new print edition to replace my old 70s Black Rose copy, and it is a much better looking and feeling book. The type is easier to read too. You can find the old Black Rose edition cheap used, but it honestly is hard to read, I'm glad I got the new one. Glad to see this book back in print! What's the connection between this text and the work of Anna Pankratowa? I agree, Spikymike. Not read Red Petrograd, what are your thoughts on it? The Smith book, as I recall, is well worth reading for some nuanced consideration of the different political tendencies approach to the factory councils (many of which were made up of a good selection of rank and file Bolsheviks) as well as other historical details. Turns out that Smart was the tutor of Simon Pirani who spoke at the London Anarchist bookfair and who's book I hopefully intend to read over Xmas if it turns up in my stocking! Revolution in Retreat? Yes, it's excellent bit of scholarship. I was sorry to miss him speak in Glasgow not that long ago. Also, on a different topic, see he's got a book coming out next year: "Forthcoming in 2018: a book on the global history of fossil fuel consumption since 1950, published by Pluto Press." This is the field he lectures in.